WASHINGTON -- President Donald Trump has retweeted a mock video that shows him striking a golf ball that - in the next frame - seemingly hits Hillary Clinton in the back and knocks her down as she boards a plane. The re-edited video appears to be a doctored version of news footage from 2011 that shows the then-secretary of state falling after climbing the stairs to the plane. 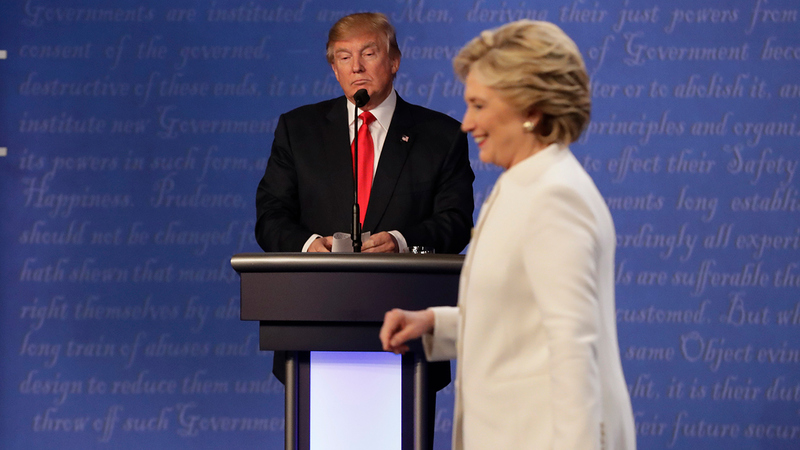 Trump has been critical of his 2016 rival after she re-emerged in the spotlight recently to promote her new book detailing the closely contested presidential campaign.